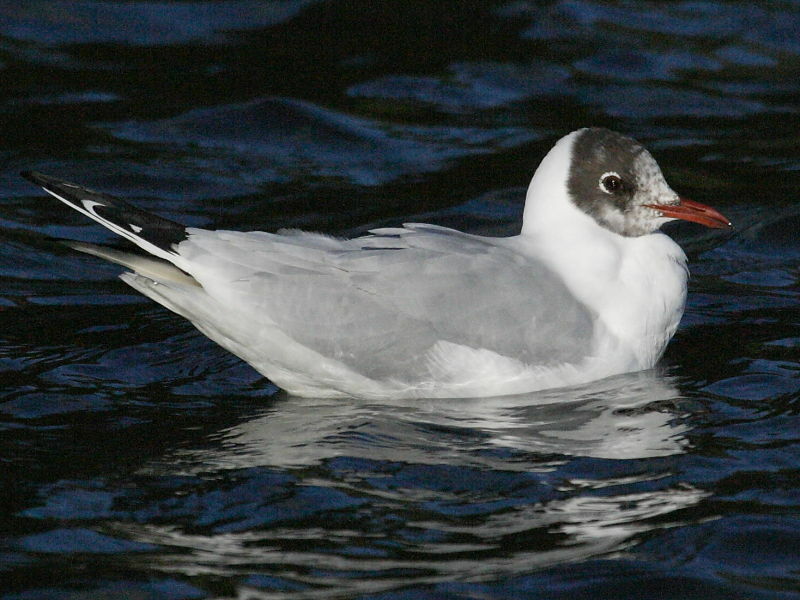 The identification differences between Black-headed Gull (Larus ridibundus) and Mediterranean Gull (Larus melanocephalus) can be seen at the moment amongst the gull flock on Swanpool lake in Falmouth, Cornwall. 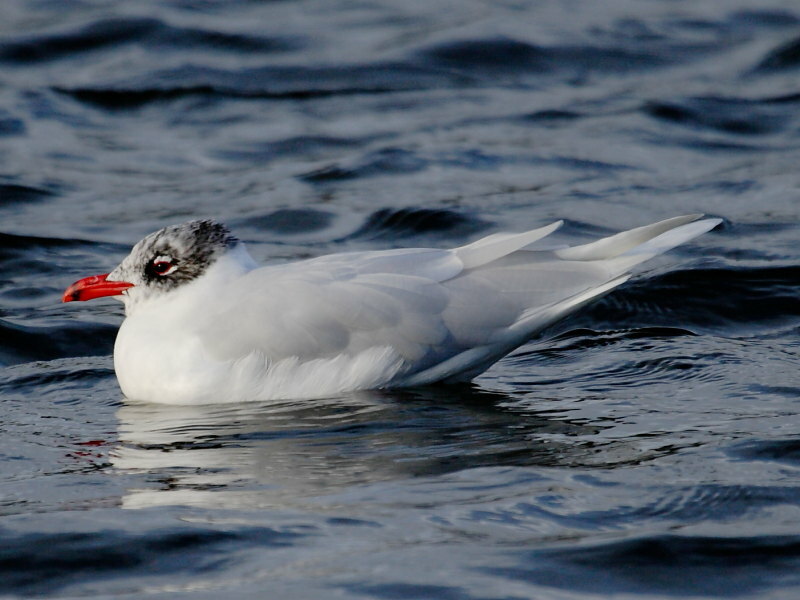 One or two of the Black-headed Gulls and the often solitary Med Gull are quickly developing their summer plumages. While the colour of their heads and extent of black are not always easy to determine in the field the black tips to the primary feathers on the adult Black-headed Gull and its slighter bill are regarded as good identification markers at all times of the year.